Standing firmly on the system of the earlier Spanish masters beginning with Carranza, this system is a mixed doctrine that incorporates certain elements of the Italian and French schools. The system taught is based on the teachings of Don Antonio Heraud y Clavijo De Soria (1892) and Don Antonio Alvarez Garcia (1893). 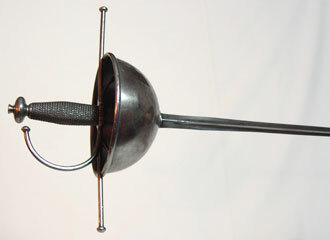 Late Spanish rapier (single rapier, rapier & dagger, and rapier & cloak).